Would Mike’s brother Tommy Gibbons shake the hand of a “dirty” fighter? When boxing historians catalogue the “dirtiest” fighters of all-time, Harry Greb’s name always seems to make the list, usually in the top five, right alongside such famous foulsters as Sandy Saddler, Mysterious Billy Smith (undoubtedly the king of all-time filthy fighters), and fellow Pittsburgher Fritzie Zivic. But does he really deserve it? Is Greb’s place among boxing’s sinister elite a justifiable one? Was he in fact a dirty fighter, or is it a bad rap? The question bears a deeper examination. 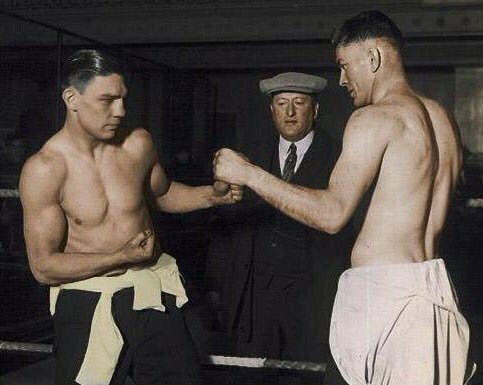 Greb with Gene Tunney: would “The Fighting Marine” be a pallbearer for a “dirty” fighter? The great Harry Greb. Painting by Damien Burton. But we live in a time when detailed information on Greb from firsthand sources is readily available to all who seek it. Many opponents stated for the record that Greb was more rough than dirty, and a closer look at his career reveals that not only was Harry not one of the top five dirty fighters of all-time, but he may not have even been one of the top five dirty fighters of his time. 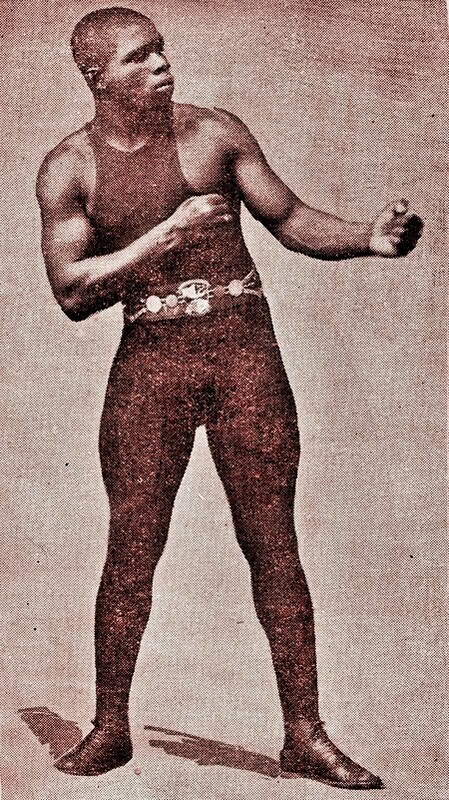 Notwithstanding the lower weight divisions, there were three fighters at light-heavyweight and heavyweight alone who outstripped Harry in the area of foul fighting, they being Chuck Wiggins, Kid Norfolk and Captain Bob Roper. All things added up, these charming gents boasted a combined 19 disqualification losses among them due to dirty fighting. Greb himself had only one and that against Norfolk, who was a de facto dirty fighter and who many feel should have been the one thrown out of the ring that night, not Greb. It is generally conceded that the blindness in Harry’s right eye was caused by thumbs in his bouts with Norfolk and Roper. Norfolk was thought to have started the damage in their 1921 swatfest and Greb complained of blurred vision following the match. But it was a year later, after fighting Roper, that Greb was seen sporting patches over both eyes following his nasty bout with the Captain. 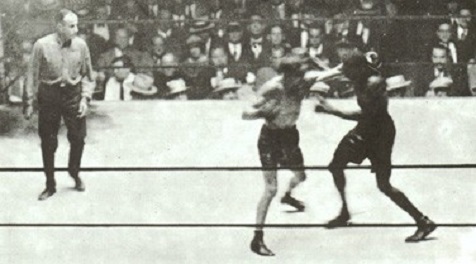 It was shortly after these battles that Greb became more noticeably guilty of the “dirty” charge placed upon him, mostly due to his incessant holding and hitting. This was no doubt due to Harry having lost his depth perception because of his blind eye, and he had to have a hand on his opponent in order to locate him properly for a blow. 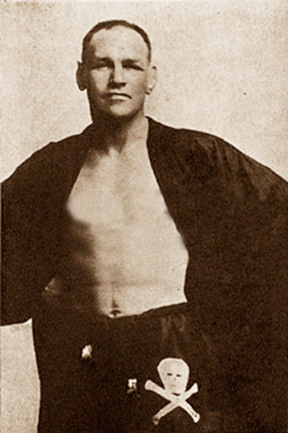 All in all, it is amazing that a half-blind fighter can have as much success as Greb did. 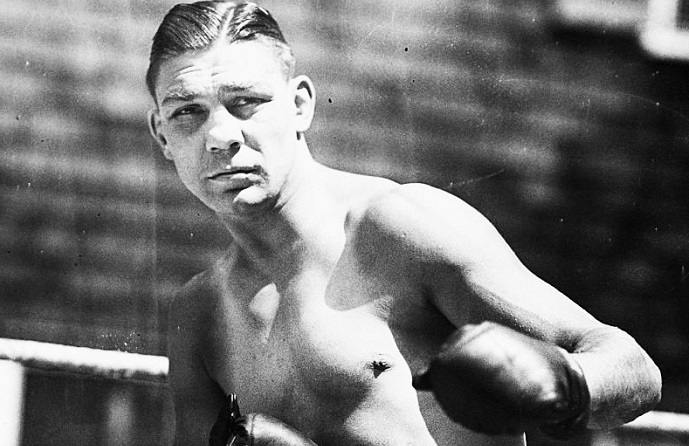 That said, the fact remains that matchless speed, incredible stamina, limitless imagination and uncanny improvisational skills — among many other attributes — should be Harry Greb’s legacy in the sport, not exaggerated charges of dirty fighting taken from nebulous sources such as apocryphal post-mortem biographies penned only to make a cheap buck. The myth-busting information is out there if one is interested in knowing the truth about the conqueror of Walker, Loughran, Flowers and Tunney, a boxer who is unquestionably one of the greatest of all-time, pound-for-pound. Thank you for this. I’ve always had my doubts about him being a dirty fighter. Thanks Joao! He definitely was rough, and even dirty at times. Many were. My whole point in writing this was to emphasize that not only was he not the dirtiest fighter of all time, but he wasn’t even the dirtiest of HIS time! Thanks for writing. Where is the source for boxers stating that he was never a dirty fighter? Nobody ever said “never”. At times he was indeed. The quotes from Gene Tunney and Tommy Loughran are from an interview with writer Harry Cleavelin. The Mike Gibbons quote is from Boxing Blade, 11/22/24. Send a link of those claims then.